I believe the WWU stands for Western Washington University. Their Humans vs. Zombies Winter 2012 game was located in doors. Winter in Washington can be a bit harsh, so they hosted it in doors away from the elements. 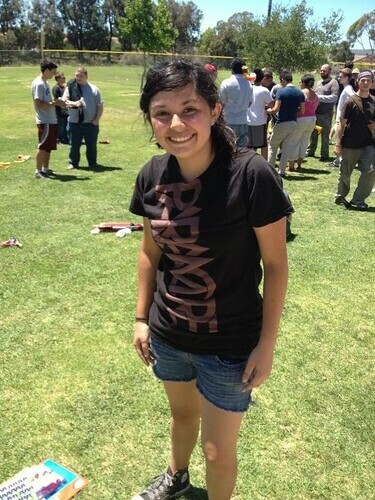 They sent teams through in a role playing sort of fashion game. The moderators and organizers did a REALLY good job setting this all up. You can tell that they worked hard on this. I’m not going to spoil anything except to say that I like the “First Team” video vs. the Forth Team’s video. Be sure to leave them comments letting them know what you think! NoM, along with is bud Bobololo, decide to parody the 12 Days of Christmas with their own Nerf twist. Enjoy, and don’t forget it is the holidays! “1. The white and orange/red Vortex discs that came with the Pyragon are especially great for outdoor usage, since their colors make them stand out and help the user a lot in finding them. 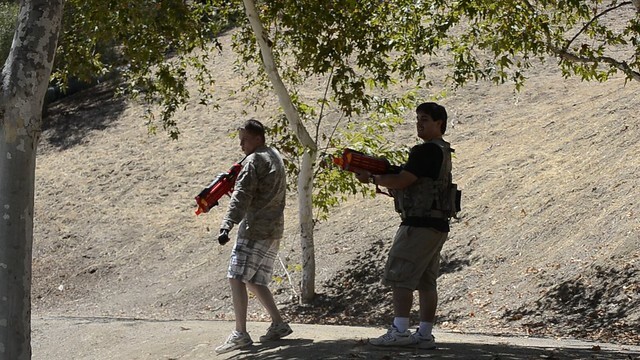 Do you know if Nerf has plans to sell those separately in stores? 2. The Dart Tag Snapfire 8 has been spotted overseas for a decent amount of time, but it still isn’t being sold in USA stores. Is it still coming out Fall 2012? Do you have a more specific date or month on it’s release? 3. The N-Strike Elite Stockade is only being sold overseas at the moment, with plans of it to be released at a later date. Is there any updated release date on this yet? 4. In a information booklet handed out in a Dart Tag event in Malaysia recently, a photo of the Elite Pinpoint Sight was spotted. Do you have any other information of it at this time? My connect that said they would look more into the the Pyragon discs and Elite Pinpoint Sight. And the screenshots above are the basic answers to questions 2 & 3. 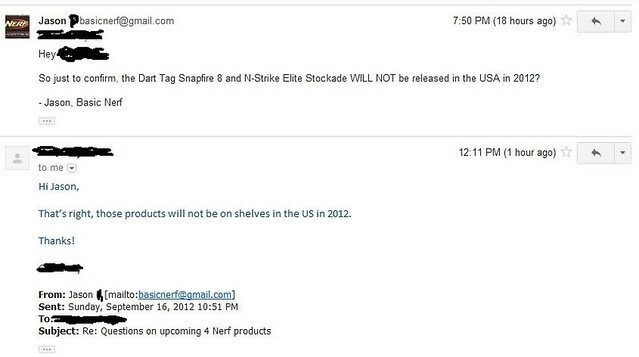 The Snapfire 8 was an international release only for 2012, same with the Stockade. 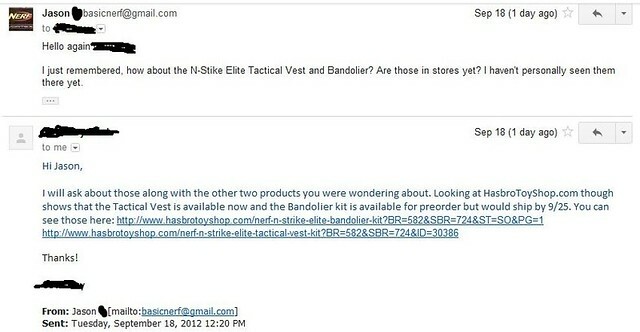 As for the N-Strike Elite Tactical Vest and Bandolier, their listings online seem to have them being released into stores in early October. Someone took the liberty of recording the final match of the 2012 Dart Tag tournament in Malaysia. It ends with a bit of a surprising twist, so be sure to check it out if your interested.